We're no strangers to coordinating social media sweepstakes for our clients – it's a fun way to generate excitement and build buzz around the brands we represent. 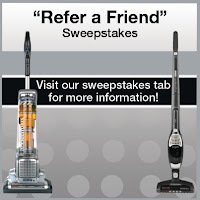 That's why we're so excited to kick off our first Facebook sweepstakes for our client Electrolux. 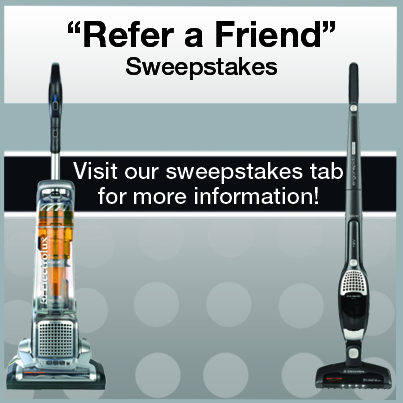 Launched on April 3 and running through May 3, our "Refer a Friend" sweepstakes aims to spread the word about two new Electrolux products – Precision Brushroll Clean and Ergorapido Brushroll Clean – by offering incentives for our fans to share news about the sweepstakes with their friends. We're excited to arm Electrolux fans with our newest vacuum introductions just in time for spring cleaning season! Visit the Electrolux Facebook page for more information, and to enter.